Games System: Professional quality game room!! Welcome to our beautiful new home in the family paradise of Windsor Hills,the closest resort community to Disney World! Our executive quality six bedroom, four bathroom smoke-free home features two master suites and two living rooms. The sunny pool and spa will feel great after a fun-packed day in Orlando. The Game Room will fill in the rainy days. You'll love the large screened-in pool deck and covered lanai. Our lot, overlooking a natural area, provides extra privacy. Our home is professionally decorated. We provide secure wireless high-speed Internet access and free long distance and international phone calls! Each bedroom has a TV with DVD. We provide a very child-friendly home with basic babyproofing and amenities. You will love your home away from home! We have scheduled MAJOR upgrades, redecoration and revamping works for November 2014 It's time for some changes! 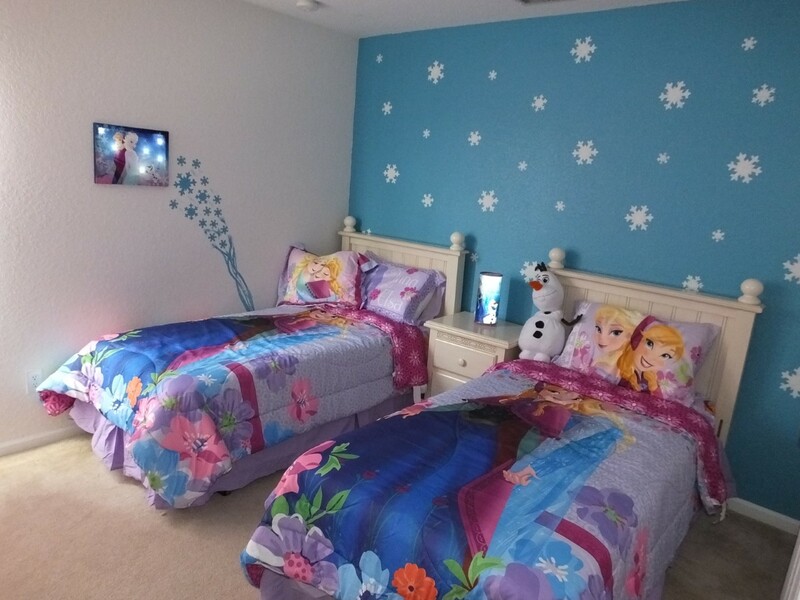 These changes include: Disney's Frozen themed twin bedroom, Universal Studios themed twin bedroom, brand new LED TV/DVD in every bedroom, game console, bigger seating table in the dinning room, new bigger leather sofas in the family room, 5-burner gas grill by the pool, brand new mattresses and beddings, paint jobs all over the house, enhanced game room, new two door side-by-side fridge with ice maker, new cooking ware and a lot more updates! 6 Bedrooms, 4 Bathrooms, Extended Screened Lanai Deck, Private Pool and Raised Spa, Overlooking a Natural Area, Large Screen TV with DVD and VCR in Family Room, Game Room with professional quality foosball, air hockey, and ping pong, TV/DVD in each bedroom, Secure Wireless High-Speed Internet Access, Free Long Distance and International Phone Calls, Basic Babyproofing Done, Free Pack N Play Crib, Stroller, and Highchair, Professionally Decorated, Linens and Towels included, One First-Floor Bedroom and Bath, plus all of the amenities of fabulous Windsor Hills Resort!